Holly Thompson - visit Singapore in May? Thank you! And I'm also happy to say that Orchards was awarded the APALA 2012 Asian/Pacific American Award for Literature and is a YALSA 2012 Best Fiction for Young Adults selection. The Tomo anthology launches March 10, and my novel The Language Inside will be published in 2013. It's been a busy year! I do not have funding to go to AFCC this year, but I'd love to attend. I could manage it if I had two school visits, say May 28 and 29: my fee per day (up to 5 periods per day is 400 USD and the schools would need to share RT airfare from Tokyo (about 700 USD), plus 2 or 3 nights hotel (I'd swing any other nights). On my hatbooks.com site, there is info on my presentations (and I'm developing more...), Interviews, Book Group Discussion Questions for Orchards and more. The Tomo site (tomoanthology.blogspot.com) has many contributor interviews and will soon have an Educational Resources section. Let me know if you are interested in helping to bring Holly to Singapore in May. 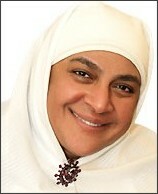 Plans have been finalized for me to come to Singapore for the AFCC 2012 conference 26th -29th of May 2012. Once again I am available for school presentations. My presentations range from kindergarten to secondary school. Considering that children will be familiar with my book Big Red Lollipop please note that the presentation I do that features that book is called Picture the Story and is recommended for students from the age of 4 to 7. For older kids who are probably familiar with my novelWanting Mor, the inspiration behind that story is in the presentation of the same name. I am interested in booking the dates before the conference from May 21st to 25th. The curriculum applications found in the final pages of the guides are taken from the Ontario curriculum guide but I’m sure the principles are transferrable to international schools as well. I’ve attached a copy of my brochure for more information about myself. 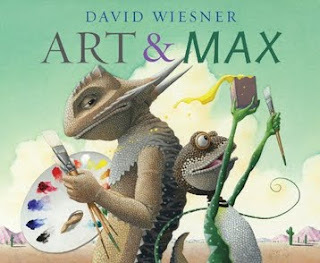 Looking ahead to May, there are quite a few children's authors and illustrators who come to Singapore for the Singapore Book Council AFCC event. Click here for a list of the speakers signed up so far. while my most recent novel for teenagers won a Premier's Book Award. Hedwig Anuar Children's Book Award. and the Society for Reading and Literacy's conference in Singapore. Children's Content, and the Beijing Bookworm Writers' Festival. iPad app group and networking. See Ben if you'd like to join the group for a Friday, February 25 meeting. Email him if you're interested. "Why books" by Mo Willems from Horn Book. A good article that talks about why we need books. What do students think of the Red Dot books? 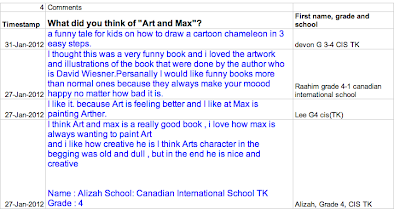 How are your students sharing their thoughts on the Red Dot books? Remember, anyone is free to comment on the individual book pages on the Red Dot website. For example, students from CIS have been reading some picture books and posting their reactions there. At my school, our middle-schoolers are members of private Goodreads groups where they post book reviews. Since posting this yesterday (Feb. 7) a shameful truth has emerged. I had shared with you an amazing review by a 7th grade student of "Stitches" by David Small, which he had posted on Goodreads -- and which his English teacher had pointed out to me just as I was writing this blog post. Unfortunately, the English teacher and I were not thinking -- and not practicing critical reading. (In our feeble defense, the student is very able.) The review looked great, I got the student's permission to share it more widely, and then came to our network meeting where I pointed it out with pride. However, Yvonne Bowyer at AISS did a more careful reading of the review and easily found its source -- the Goodreads main description, which was actually from the author's own website. It is definitely plagiarized, though he did add his own opinion at the end. I have a Google Doc where his review is compared with others on the Internet; if you are interested in seeing it, just email me. Needless to say, his reviews will be taken down and I expect he will publish an apology. Many thanks again, Yvonne, for being so sharp -- and giving me a lesson in praising and publishing in haste. A bottle of champagne will be coming your way in gratitude. This year's Singapore Writers Festival has a stellar line-up of children's and young adult authors, including Garth Nix, John Boyne, James Roy, Jack Heath, Kirsty Murray, and others. 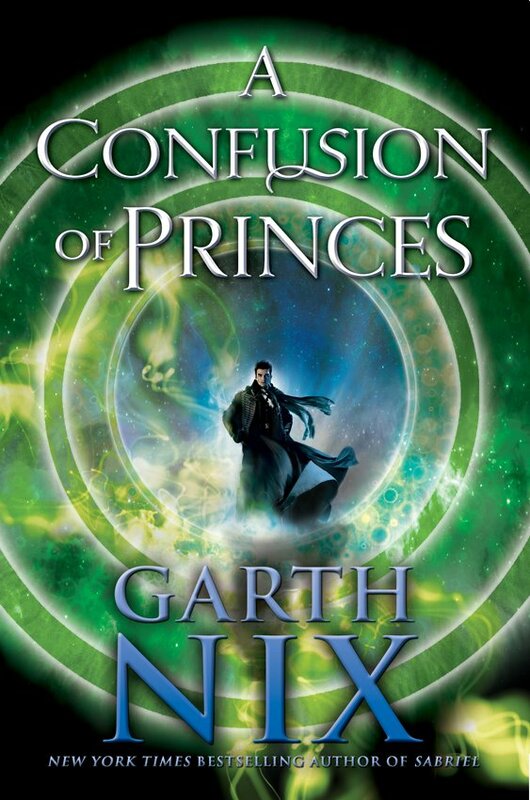 Internationally bestselling fantasy author Garth Nix welcomes you to a special preview of A Confusion of Princes, his long-awaited standalone science fiction novel. A riveting read, this space opera forms the background for Imperial Galaxy, a massively multiplayer online game (written by Garth Nix and developed by Creative Enclave, of which Garth is also a founder) that lets you play the part of a noble prince serving in the navy of a galaxy-spanning empire. An event of truly intergalactic scale! Enjoy canapés and a specially concocted drink, Sabriel Surprise, with international bestselling fantasy author Garth Nix, as he invites you into his rich, imaginative world, and enthrals you with tales from his fantasy adventures. Be prepared for an out-of-this-world experience. With more than 5 million copies of his books sold, Garth is an acclaimed and best-selling fantasy novelist for young adult readers. In particular, he is known for his Abhorsen trilogy, The Seventh Tower series, andThe Keys to the Kingdom series. A full-time writer since 2001, he previously worked as a literary agent, marketing consultant, book editor, book publicist, bookseller, and a part-time soldier. 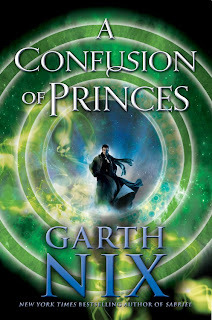 Garth’s next book will be the science-fiction adventure A Confusion of Princes, to be published in April 2012. Any student who aspires to be a writer or interested in some aspects of writing and publishing would benefit from participating in the All In! 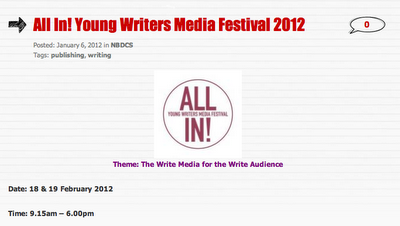 Younger Writers Media Festival. Cost is $20 day/$30 for 2 days which include lunches and tea breaks in Rendezvous Hotel, 18 & 19 Feb. The Festival is aimed at students age 15 and above. NBDCS is a non-profit organisation that promotes storytelling, reading, writing and publishing through a variety of interesting and innovative programmes. As more emphasis is placed on values teaching, there is a need for practical, age-appropriate resources to make this difficult, abstract subject more accessible. 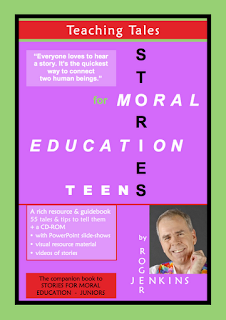 I am pleased to present two new books, STORIES FOR MORAL EDUCATION (Juniors – for ages 7 – 12; Teens for ages 13+) Both books offer more than 70 stories demonstrating key values in action. Please view the sample pages in the attached PDFs for the Juniors or Teens book - I recommend you use the view 2-page spread option when viewing the pdf. Despite the title and their purpose, these stories make for a good read in themselves! Why use stories? People listen to stories because they want to (stories are enjoyable!) and without feeling they are being preached at. Stories help people to connect and, whereas 'Thou shalt not' is soon forgotten, 'Once upon a time' lasts forever. Drawing on my experience as a professional storyteller, I have selected stories from around the world, and particularly Asia, for their narrative power and wisdom. As they come from many different cultures, the stories also reflect the idea that these values are universal. This is a book of values, not vices. While it is possible to teach by showing the negative (eg the perils of lying) I prefer to show the benefits of doing right (the rewards of honesty.) I believe in celebrating people making good choices and I am sure your school culture actively focuses on catching pupils doing good, rather than chasing those who make poor choices. The stories are short (less than 500 words) so they should only take 3 -5 minutes to tell. For the 50+ principal tales in each book (only two are duplicated), I provide practical tips to confident, lively telling, either in the classroom or an assembly. 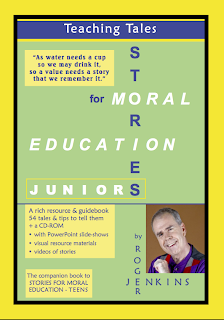 Additional short anecdotes and jokes (32 in Juniors, 42 in Teens) make each book a rich resource. The book comes with a CD-ROM containing supporting visual materials (such as PowerPoints and PDFs) to enhance the telling of some stories, as well as videos of me telling stories too. Schools familiar with my Stellar-related resources, THE DRAMA TOOLKIT, will know that my work is tailored to the Singapore context and reflects more than 30 years work as a teacher/performer/writer here in Singapore. Delivery guaranteed by 9h March 2012. And as I'm self-publishing, if you want to customise a special edition for your school, cluster or organisation, you won't have to purchase hundreds and hundreds! I look forward to hearing from you. An order form is attached. When her son commented that, although he loves the magic in books like Harry Potter, it's always disappointing in the end because you really do it, Eden Unger Bowditch was saddened. To her, magic is everywhere. The way a tree grows out of a tiny seed is magic. Science is magic, as is invention. From those roots, Eden went on to write The Atomic Weight of Secrets or The Arrival of the Mysterious Men in Black, the first book in the middle grade Young Inventors Guild trilogy. She's been talking with kids about the book all around the world, from Los Angeles and New York in the United States to her home in Cairo, Egypt, and she'd love an opportunity to speak with the children at your schools. As a mother with three kids in international schools, Eden has a terrific affinity for schools like yours, and as an author, she has found the students at similar schools some of the most amazing to read to and speak with. 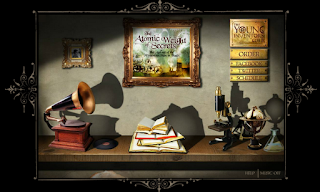 Right now, a cross-curriculum program for The Atomic Weight of Secrets is being developed by an American teacher—and rightly so, seeing as it teaches science, culture, history, and language arts, while never being anything less than an exciting adventure. In 1903, five young geniuses, the children of the world's most brilliant inventors, are taken from their lives and homes by the mysterious men in black and deposited in a strange farmhouse in Dayton, Ohio, where their only means of escape may be the invention they've all been working on. But are the men in black trying to kidnap them—or protect them? And if they're trying to protect them—from what? Eden is eager to visit with the students in Singapore. Please let me know what we can do to make it happen. -- Discovered or experienced anything exciting relating to school librarianship recently? A new app? Online tool? Conference? PD experience? A great article or blog post? Come prepared to share. Children's Literature Conference -Kate will have some books to share showcasing authors and illustrators from the coming conference. Have you registered? Have you shared this exciting opportunity at your school? Hands on Literacy - update - Katie. Red Dot Awards - Kim.